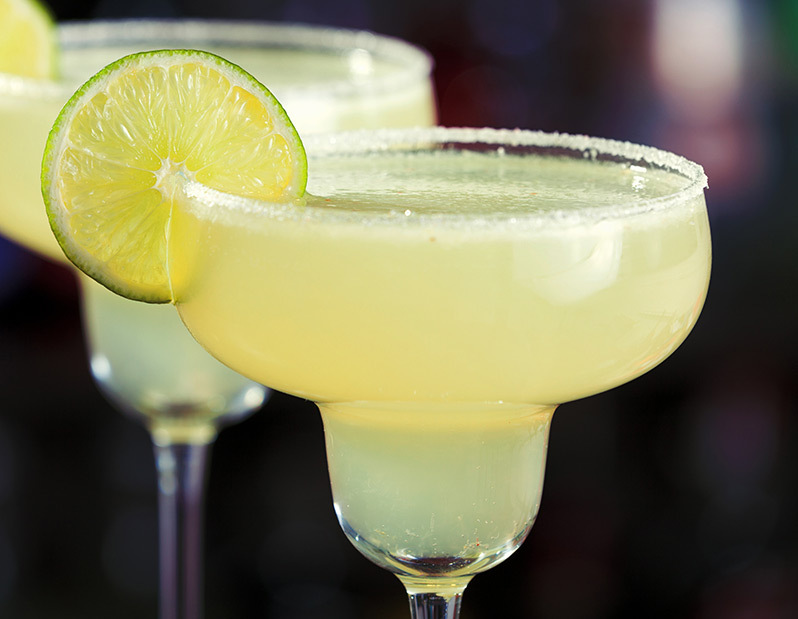 A margarita is a cocktail consisting of tequila, orange liqueur, and lime juice often served with salt on the rim of the glass. The drink is served shaken with ice (on the rocks), blended with ice (frozen margarita), or without ice (straight up). Although it has become acceptable to serve a margarita in a wide variety of glass types, ranging from cocktail and wine glasses to pint glasses and even large schooners, the drink is traditionally served in the eponymous margarita glass, a stepped-diameter variant of a cocktail glass or champagne coupe. Michelada is a Mexican cerveza preparada made with beer, lime juice, and assorted sauces, spices, and peppers. It is served in a chilled, salt-rimmed glass. 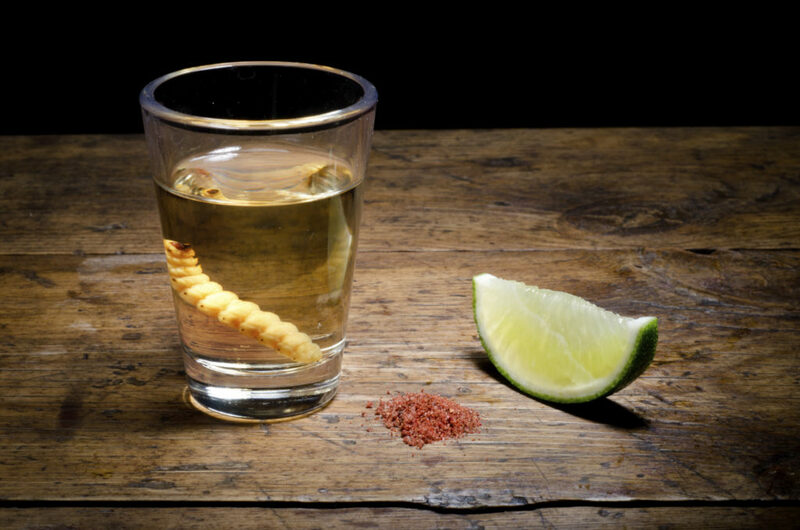 There are numerous variations of this beverage throughout Mexico. In Latin America, micheladas are often believed to be a folk remedy for hangovers. 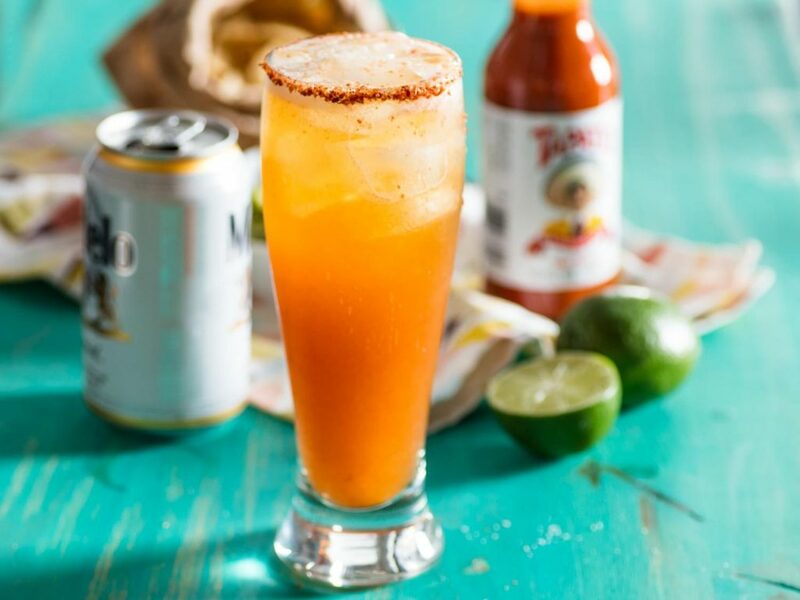 There are different variations of micheladas; for example, in Mexico City, the most common form is prepared with beer, lime, salt, and particular hot sauces or chile slices. There are several other optional ingredients, such as Maggi sauce, Worcestershire sauce, chamoy powder, serrano peppers, Camaronazo, Clamato, or slices of orange. 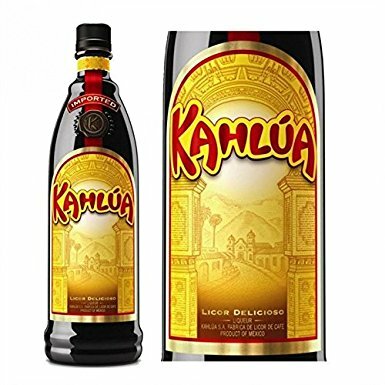 Kahlúa is a coffee-flavored liqueur from Mexico. The drink contains rum, sugar, vanilla bean, and arabica coffee. 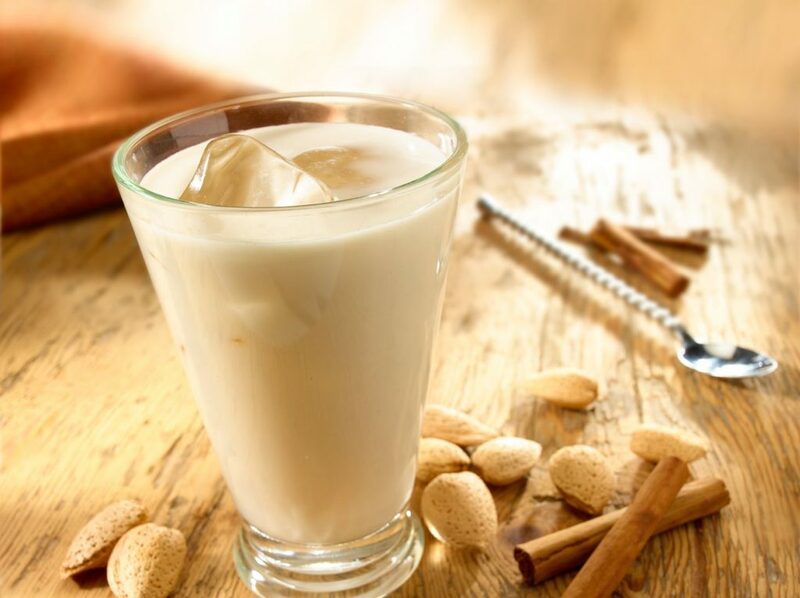 Horchata or orxata , is a name given to various plant milk beverages of similar taste and appearance. Mexican Coca-Cola has become very popular in the United States because of a flavor that Coca-Cola fans call more “natural tasting”. While many believe the primary difference in flavor between Mexican Coca-Cola and the American Coca-Cola formula is that Mexican Coke is sweetened using cane sugar as opposed to high-fructose corn syrup, a scientific analysis of Mexican Coke found no sucrose (standard sugar), but instead found fructose and glucose levels similar to other soft drinks sweetened with high-fructose corn syrup. Most of the Mexican Coke exported to the United States is made with cane sugar, while some Mexican bottlers may use high-fructose corn syrup for drinks intended for sale in Mexico. 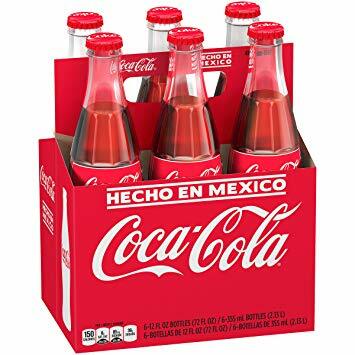 Therefore, while most of the Coca-Cola labeled “Mexican” in the United States is made with cane sugar, this is not true of all Coca-Cola sold in Mexico. The paloma (Spanish for “dove”) is a tequila-based cocktail. 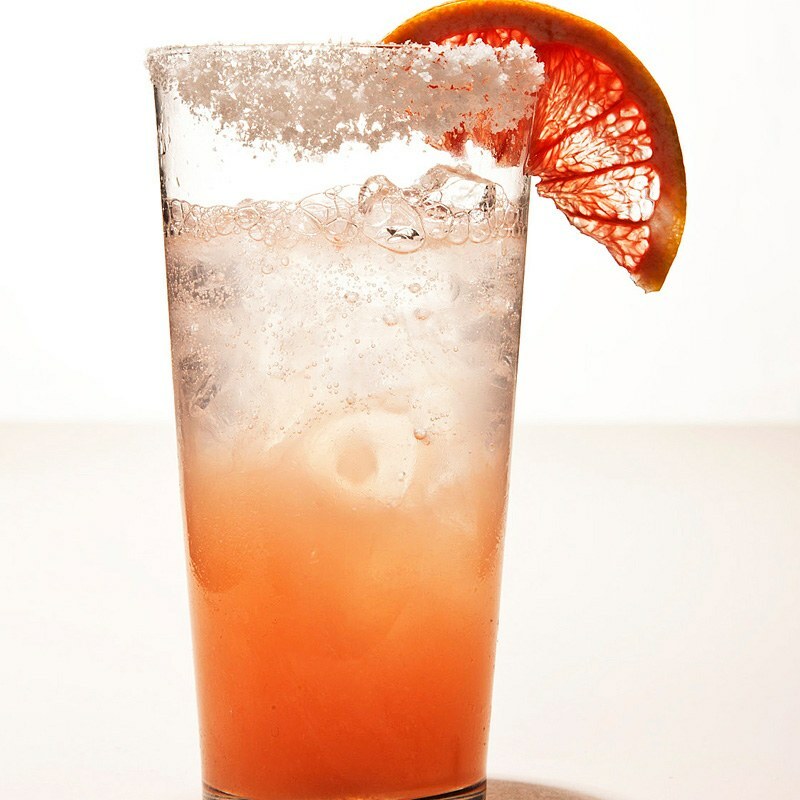 This drink is most commonly prepared by mixing tequila with a grapefruit-flavored soda such as Fresca, Squirt, or Jarritos and served on the rocks with a lime wedge. This drink also has the option of adding salt to the rim of the glass. This drink is very easy to prepare, it can even be found in soda cans. This drink is very popular all over Mexico. 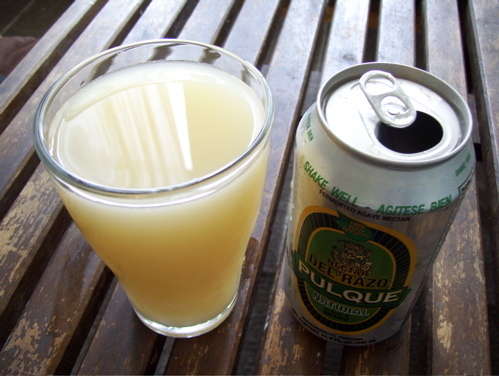 Pulque is an alcoholic beverage made from the fermented sap of the maguey (agave) plant. It is traditional to central Mexico, where it has been produced for millennia. It has the color of milk, somewhat viscous consistency and a sour yeast-like taste. 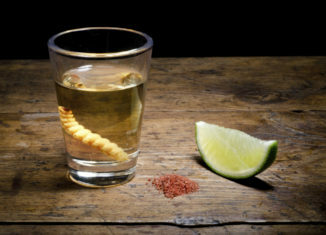 Mexico is land of Tequila (egional distilled beverage and type of alcoholic drink made from the blue agave plant) and Mezcal (distilled alcoholic beverage made from any type of agave). You should try them both! Popular 3-shot cokltail. 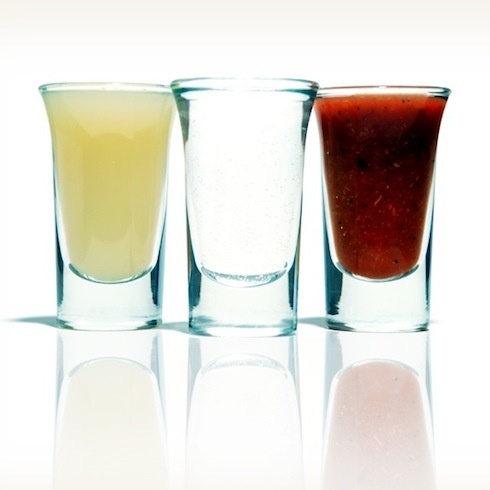 Inspired by the colors of the Mexican flag, this drink is served in 3 separate shot glasses consisting of tequila (white), fresh lime juice (green), and sangrita (red)-a spicy tomato-based chaser. Mexican wine and wine making began with the arrival of the Spanish in the 16th century, when they brought vines from Europe to modern day Mexico, the oldest wine-growing region in the Americas. 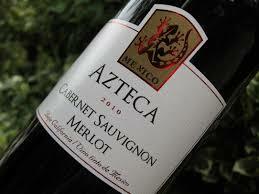 There are three major wine producing areas in Mexico, with the Baja California area producing 90% of Mexico’s wine. This area is promoted heavily for enotourism with the “Ruta del Vino” (Wine Route), which connects over fifty wineries with the port of Ensenada and the border and the annual Vendimia harvest festival. 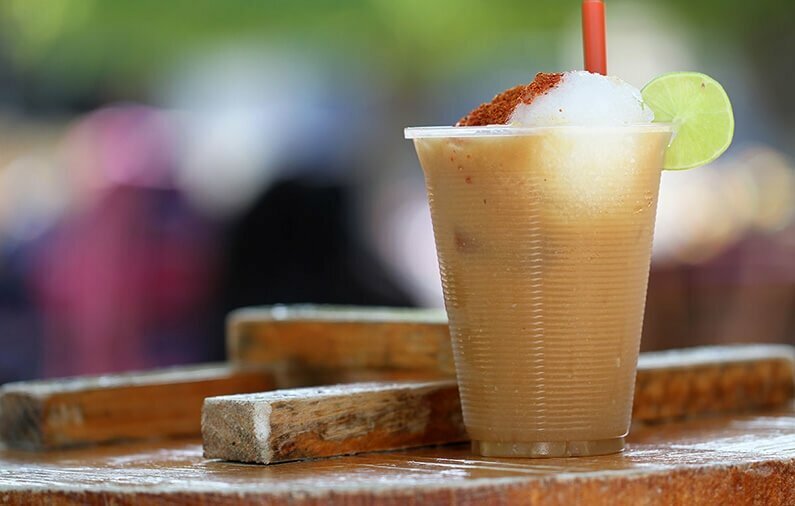 Tejuíno is a cold beverage made from fermented corn and popularly consumed in the Mexican state of Jalisco. Tejuino is usually made from corn dough, the same kind used for tortillas and tamales. The dough is mixed with water and piloncillo (cone-shaped unrefined brown sugar) and boiled until the liquid is very thick. The liquid is then allowed to ferment very slightly. The resulting drink is generally served cold, with lime juice, a pinch of salt and a scoop of shaved ice or lime sorbet. 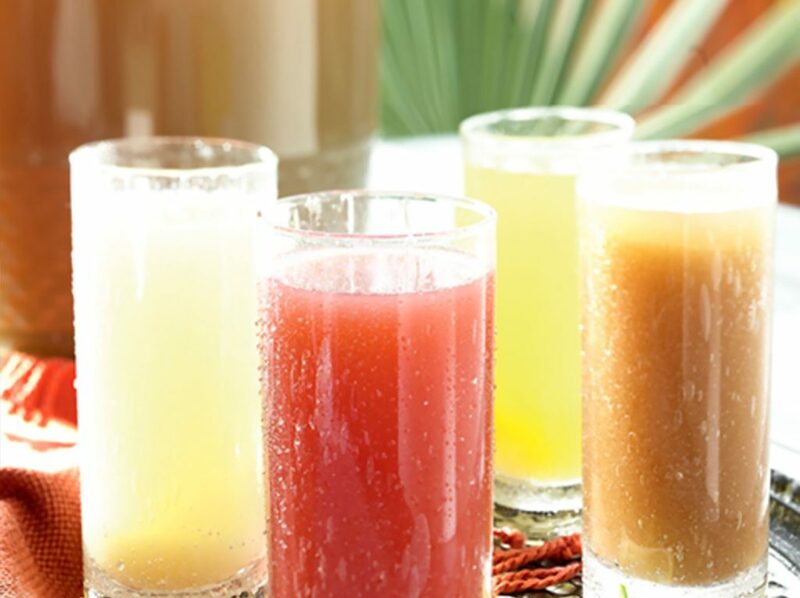 Aguas frescas (Spanish for “cool waters”, or literally “fresh waters”) are light non-alcoholic beverages made from one or more fruits, cereals, flowers, or seeds blended with sugar and water. They are popular in Mexico and the United States. Some of the more common flavors include tamarind, hibiscus, and horchata. Aguas frescas are sold by street vendors, but can also be found in bodegas (convenience stores), restaurants and juice bars.